Synergy Dental Group is a premier center for smiles, helping patients achieve exceptional oral health through individualized care. Dr. Kimberly Quan Hubenette earned her Doctor of Dental Surgery from the University of Southern California in 1993. Your reviews are very important to us. Read what patients have to say about their experience at our dental office. For over 10 years I have been going here and I have watched them grow into the best dental facility that Northern California has to offer! The staff is awesome, and the service is professional. I absolutely love it here! She is a very caring exceptional dentist that explains and gives me all possible options to make my decision. The same staff has been there for ages. I feel special when I go there. Everyone remembers my name. This was not easy for me, as I am not fond of going to the dentist, but I loved my dentist. I feel fortunate that I have found Dr Hubenette and her staff. Everyone is very kind and considerate. Very gentle which I truly appreciated. They explain everything that they are doing and pay close attention to detail. Dr Hubenette even called to be sure all was well after the procedure. Thank you, ladies. Dr. Kimberly Hubenette of Synergy Dental Group is the best and most Compassionate dentist in town, hands down! Not only is she my dentist, but she is now my husband's dentist. Recently he had an emergency toothache on a holiday 3-day weekend and Dr. Hubenette was the only dentist in our town who could be reached and was willing to help him. In fact, she came into her office and got him out of pain very fast. I don't know of any other dentist that would have done this! I can't say enough good things about Dr. Hubenette and her practice! General dentistry takes care of tooth decay, gum disease and other common problems. Your bite can be improved and teeth straightened through our cosmetic procedures. Preventive dentistry ensures that dental problems are identified and taken care at an early stage. 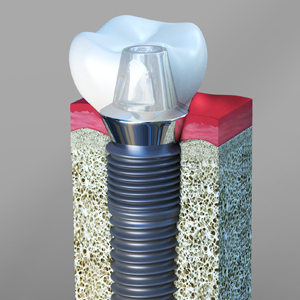 Dental implants improve oral health by replacing missing teeth. We treat a wide range of issues related to gums, bite, airway, sleep and other problems related to oral cavity.